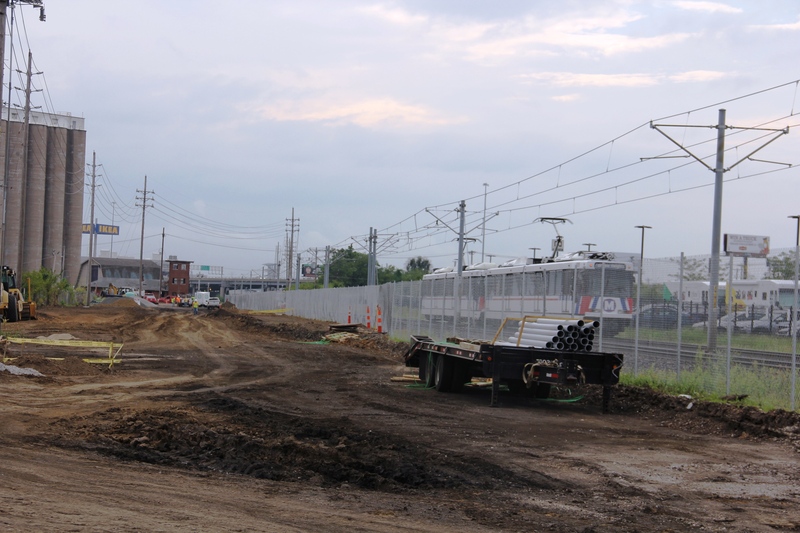 Construction is underway on the first new MetroLink station to be added to the bi-state region’s light rail system in more than a decade. 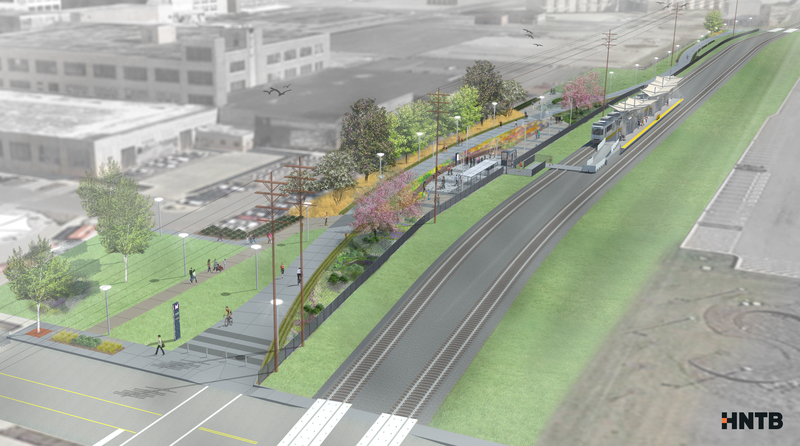 The Cortex MetroLink Station will be built in the central corridor on the current MetroLink alignment between the Central West End and Grand MetroLink Stations. Two local firms, L. Keeley Construction and Wissehr Electrical Contractors, were awarded the first contracts for the project. L. Keeley Construction will conduct electrical, plumbing, structure, sidewalks, benches and other facility work, while Wissehr Electrical will be responsible for signal systems work. Crews are currently performing sewer work and preliminary electrical work on the site, including directional boring and conduit installation. Two additional contractors are in the process of being selected for other aspects of the Cortex MetroLink Station project, including track work and communications. HNTB Corp. led the project design team, which included KAI, Access Engineering, Glasper Professional Services, TSi Geotechnical and Kivindyo Engineering Services, all of St. Louis. 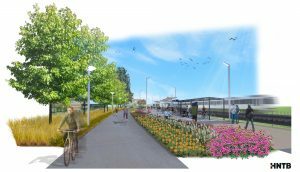 Primary funding for the Cortex MetroLink Station project is provided from a $10.3 million Transportation Investment Generating Economic Recovery (TIGER) grant from the U.S. Department of Transportation. Bi-State Development was one of nearly 800 TIGER grant applicants from around the nation, and this project was one of just 72 awarded grant funding. The funding award includes the new MetroLink station which will become the 38th station on the light rail system, the first quarter mile of a 5-mile Chouteau Greenway bike and pedestrian path, and the extension of the platform at the Central West End Station. The remaining project cost is being supported by funds from a public-private partnership that includes the Cortex Innovation Community, Great Rivers Greenway, Washington University, BJC HealthCare and the City of St. Louis/St. Louis Development Corporation. This is the first Metro station to be built from public and private funds and could become a model for future transit projects. The project is anticipated to support approximately 170 construction jobs, and will provide new transportation options for those who will fill an estimated 13,000 permanent jobs expected to be created in the Cortex Innovation Community and throughout the central corridor of St. Louis. The Cortex MetroLink Station project will be completed in 2018. As a retired Metrolink operator, I’m curious about what is planned for future off loading of new LRV’s as this new station appears to possibly affect that area always used for delivery. I find your updates intetesting and would like to see more pictures as well as stories. Eugene, you’re correct. 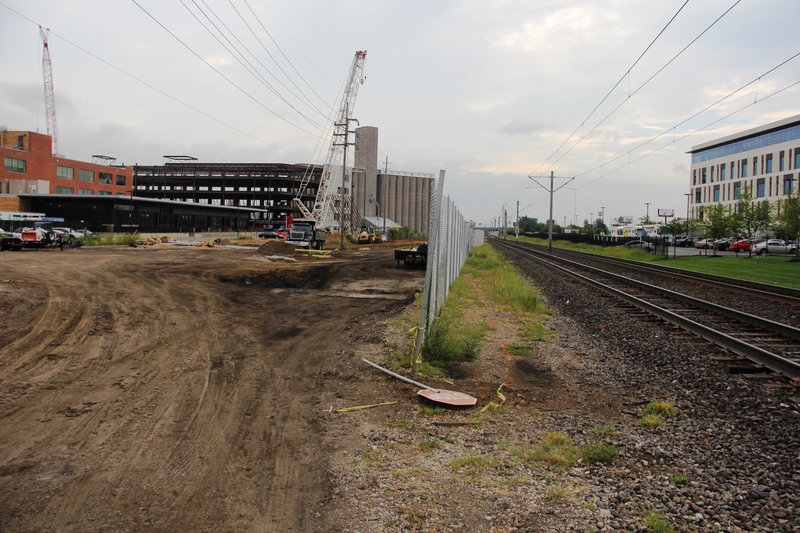 The freight track that previously was used to receive LRVs between the Grand MetroLink Station and Central West End MetroLink Station has been removed as part of the Cortex Station Project. Our plan to receive and ship LRVs in the future is to either ship via truck or install a track switch near the Grand MetroLink Station that will allow transfer from the UPRR Freight yard to the main line. As for future stories, I’m all ears! I’m calling it the Boyle Avenue station! When a new MetroLink schedule is made to accommodate this stop, let’s make the 10 minute wait at Forest Park, for changing to go west on blue or red trains, a thing of the past! There is absolutely no need to delay everyone’s trip by that much! That is the heart of the whole system. 2 minutes, 3 at the most, and everybody would make their connection. The Neanderthal that baked a needless ten minute connection into the system needs to finally retire. Arthur, we will most likely have to adjust MetroLink schedules to accommodate for the Cortex MetroLink Station. I’m not sure what that will mean for train service at the Forest Park-DeBaliviere MetroLink Station, but that’s something to consider. I’ll make sure our scheduling department reviews your feedback. Thanks! Why is Metro demolishing the Wabash Signal Tower? It’s 800 feet away from the station. Surely that’s plenty of space to route the tracks to avoid the building without incurring any speed penalties? Hey Herbie, the building lies within the sight distance triangle of the grade crossing. Specifically, the building lies within the sight distance triangle of the grade crossing. The FTA and the Missouri State Historic Preservation Office did review the building and concluded that it did not have cultural or historical significance. Is the grade crossing at Sarah remaining the same, or will it be modified as part of station construction? It will be modified and will be moved north. Regarding the new Cortex Station and expansion of the Central West End, are there any drawing or plans you can share with the public that show clarity? Kelly, I’ve gone ahead and updated the blog with the latest renderings we have on file. As for drawings/renderings for the expanded platform at the Central West End MetroLink Station, I’m not sure if those are available, but I’ll check with our engineering department and get back to you if those are available at this time. Will Metrolink Central westend station close once Cortex station is completed? The Central West End Transit Center is Metro’s busiest transit hub on the light rail system and as such the odds of Metro shutting the station down is highly unlikely. What’s more feasible is periodic closures late at night or when train service is not operational. We’ll make sure to inform the public of any impacts to service (if indeed there is) closure to that time. I feel you shouldn’t close the CWE Metrolink station late at night because it serves the 13 Union and 95 Kingshighway which provides service for people to get home. What I hope would not happen. Extending the wait time on these buses there is no reason why anyone should wait 30 or more minute, I hope you stop taking bus out of their way to service. Sharon, the Central West End Transit Center will continue to provide transit services regardless of construction activity. Will there be Metro bus service at this new station? ie: will the 42 Sara bus be routed to stop at this Metrolink stop? At this time, there are no MetroBus connections planned for the Cortex MetroLink Station.